Published in the South Kent Gazette, 22 October, 1980. The church, as designed by the architect, Sir George Gilbert Scott, was a simple and austere building in the pointed Gothic style with three separately roofed aisles, a south porch, west door and a short spire at the west end of the south aisle. The interior was very light, owing to the slenderness of the columns separating the nave from the aisles, and an absence of coloured glass in the windows. Arrangements were made for a strictly evangelical service, there being no chancel and no organ. In entering the church one saw a vista of pews stretching from under the west gallery with the south porch on the right. There were rented pews with nameplates and some with umbrella rests or sword racks. Set aside for soldiers were rather narrow, backless pews. Equally uncomfortable were the seats in the gallery where the choir sat, with seats for children of the Orphanage and Sunday School on either side. The children were strictly controlled by a Beadle who sat in a little box pew on the south side of the gallery. On the reredos at the east end of the church were reproduced the Lord’s Prayer, Apostles' Creed and the Ten Commandments. In front of the Lord’s Table and sanctuary rails were seven pews an either side of the centre aisle intended for the use of communicants but, in fact, rented like all the others. Overlooking the pews on the south side stood a two-decker pulpit with a reading desk at the bottom front which the lessons were read. Access to the vestry, which was the business room of the church, was from the rear of the pulpit. By popular demand an organ was erected in file west gallery in 1849 although there were cries of “Popery“ from angry opponents to the idea, when the decision to install the organ was taken at a Vestry meeting. Erected in the south end of the gallery the organ was used for the first time on 30th September. This reduced the seating accommodation which was already proving inadequate, due to the popularity of the church and that of the first incumbent who was no doubt inspired by the full congregations. 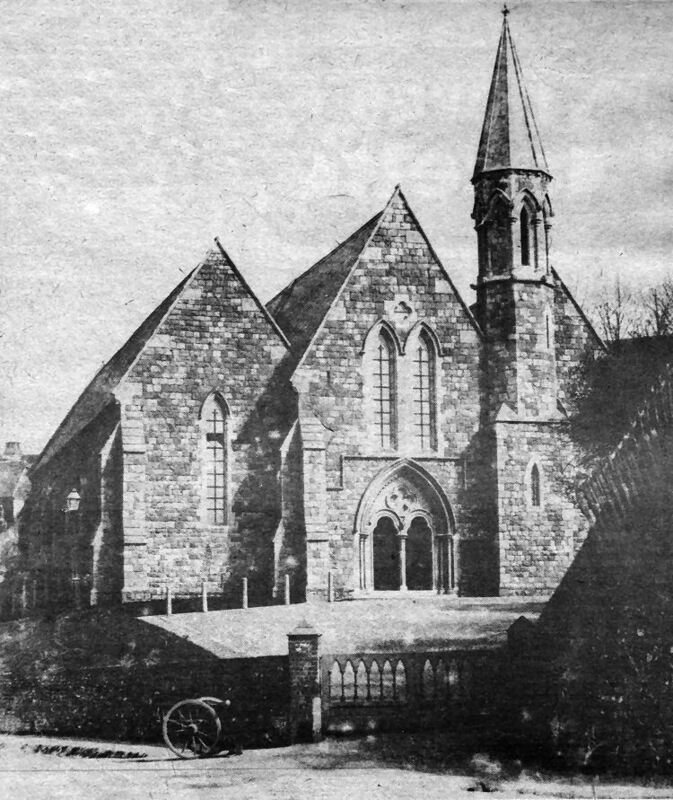 Contemporary local newspapers referred to “The fashion to flock to Christ Church from all parts of the town.“ The addition of gallery after gallery was made to meet the growing demand for seats. The south gallery was erected as a result of public subscription late in 1848. A plate stated that the seats were free for perpetuity. In 1851 the north gallery was built, with rented seats and two years later an east window was installed. The year 1883 saw a serious row between the Vicar and parishioners over pew rents which culminated in the resignation of the minister. The same year Dr. Edward Ferrant Astley, M.D., Mayor of Dover in 1858, who was associated with the church for nearly 50 years, presented the church with a lectern and followed this up by paying the balance of the cost of a new organ in 1891, parishioners having contributed the first £400. He also footed the bill for the construction of a chancel which was consecrated on 27th September 1894. The Silver Jubilee of the church was celebrated in style in 1894. Apart from the chancel a new stone pulpit was installed and stained glass windows made their appearance in the new chancel and at the west end of the church. These were the gifts of Mr. G. C. Ruble, a churchwarden for many years. The Bishop of Dover who consecrated these additions on 27th September is said to have preached the ten thousand and first sermon in the church. It was also the first occasion that an Authem was sung in the church. Before the turn of the century the south porch was converted into a baptistry as a memorial to Mr. C. K. Worsfold, who was for many years a churchwarden, and the font was moved there from the west end of the church, but not without protests at the vestry meeting of 1898. It was at this time that an entrance porch was erected over the west door. Pour years later the choir moved from the gallery to title site of the old communicants’ pews where choir stalls were erected that year. In 1906 the organ was moved to the east end of the south gallery and a choir vestry erected underneath It To celebrate the Jubilee of King George V, in 1935, the organ was converted to electric power and the console operation became pneumatic Instead of mechanical. The pulpit was moved to the north east of the nave and central heating of the church was installed for the first time. 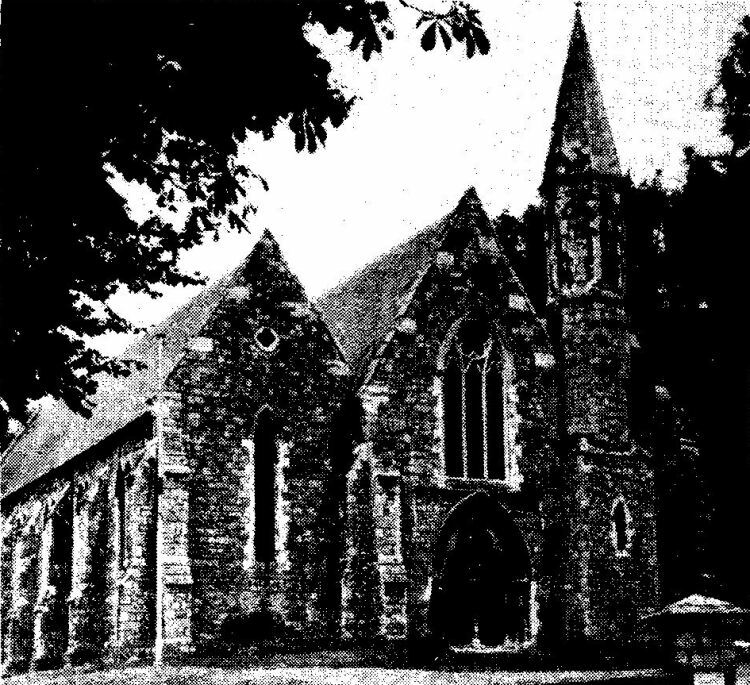 A photographic view, nearly 100 years old, of Christ Church, Dover, shortly after It was built. The other picture, above, depicts the church in the early 1970s with the two narrow lancet windows over the main door replaced by stained glass windows from the west end of old St James’ Church which was reduced to a ruin by enemy action during the last war. Made redundant in the mid 70s Christ Church was demolished in autumn 1977.